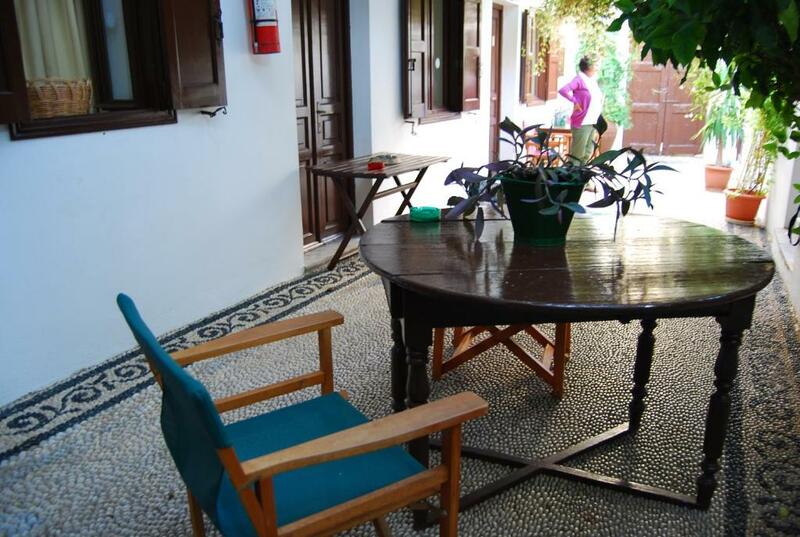 Good location in central Lindos. 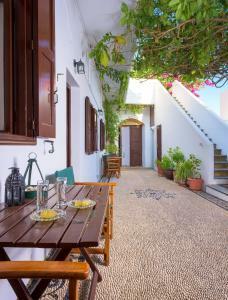 Pretty traditional villa with roof terrace. It is clean and rooms are made up daily. The people who manage the properties were lovely. Welcoming, helpful etc. Very Convenient location! 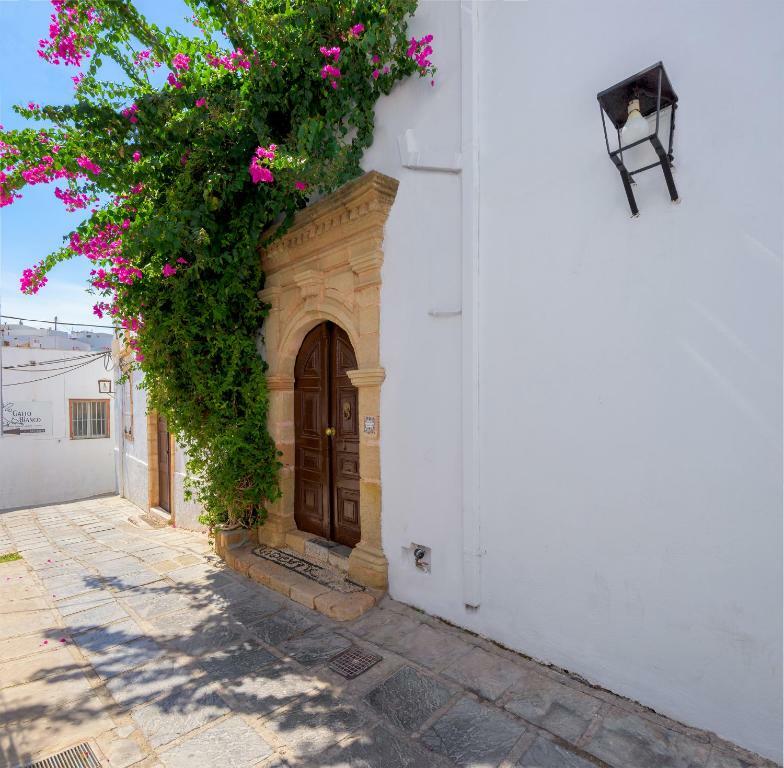 Ideal for those who want to explore Lindos town centre on foot, day and night! 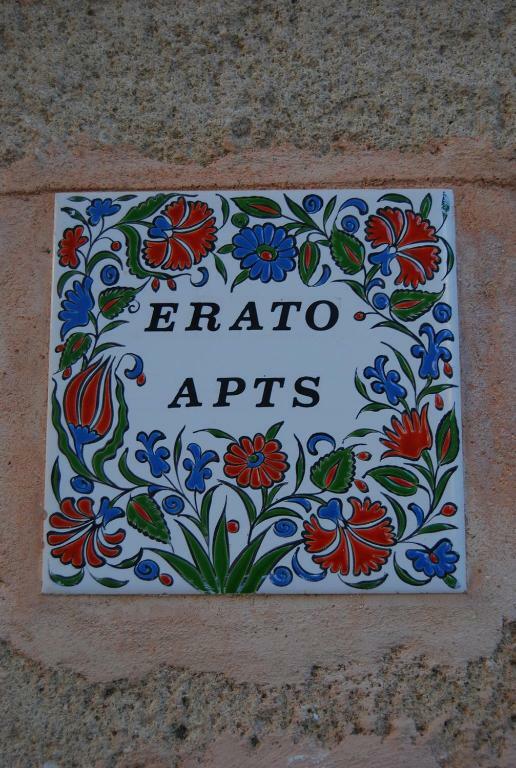 Lock in a great price for Erato Apartments – rated 8.6 by recent guests! 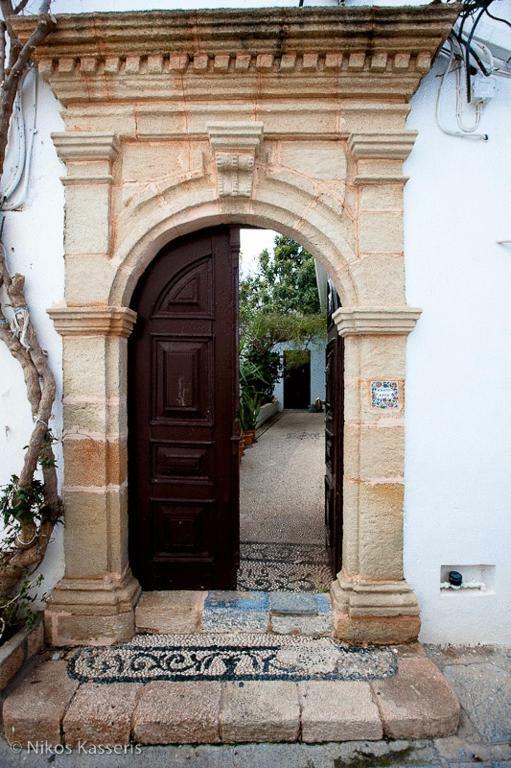 Within a 450 feet distance from St. Paul’s Bay, Erato Apartments is a traditional renovated house built and decorated according to the local architectural style. Wi-Fi is free in all hotel areas. The ground-floor rooms, apartments and studios open out to an internal pebbled courtyard dated in 1915. At the rooftop terrace, all Erato guests can enjoy the impressive view of the Acropolis and of the sea. Erato offers spacious apartments with kitchenettes built and decorated according to the local architectural style. They feature an elongated living room, traditional elevated sofa beds called ‘pangas’ and pebbled floors. They all open out to an internal courtyard with vine roof. This small family hotel is conveniently located in the heart of the village, within the characteristic narrow streets of the town, in walking distance to Lindos Main Square. A number of restaurants, bars and shops are in the area. Free parking space is available next to the path leading to the scenic Saint Paul’s Bay. Offers air-conditioning and free Wi-Fi. 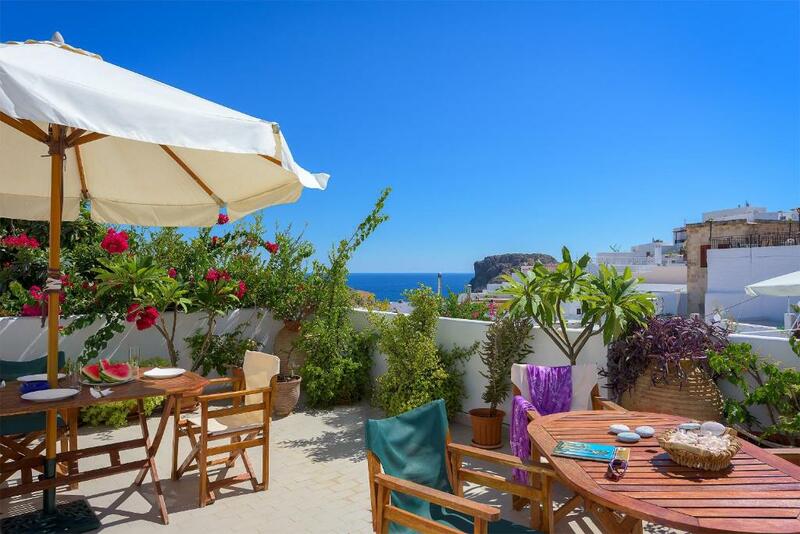 Located on the upper floor this apartment offers view of the Acropolis and Agios Pavlos Bay. It consists of 2 interconnected studios. 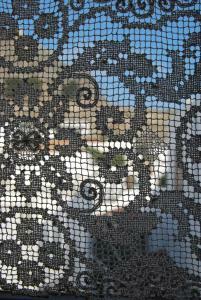 The walls are decorated with traditional Lindos ceramics and textiles. Located on the top floor, this studio offers views of the Acropolis and Agios Pavlos Bay. 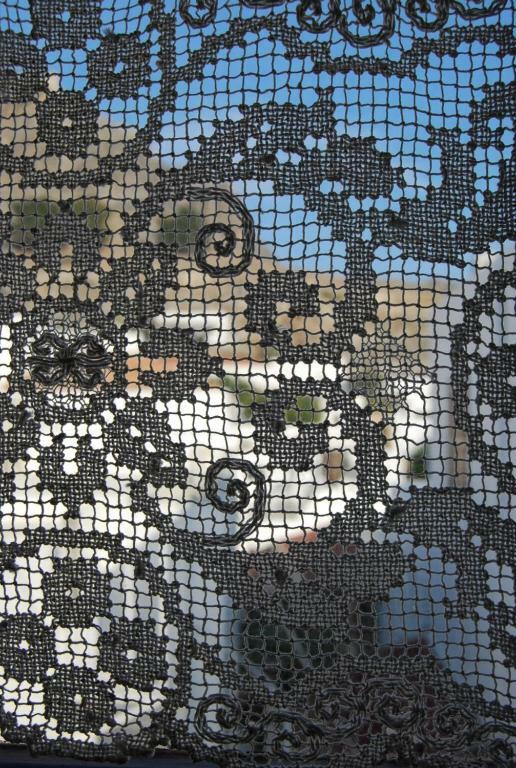 Walls are decorated with traditional Lindos ceramics and textiles. The Erato apartments is a renovated town house situated right into the heart of Lindos, close to the path leading to the ancient Amphiteatre and St. Paul’s Bay with its stunning views. The parking area of the village is in walking distance. 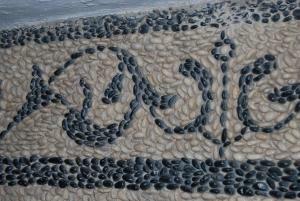 The interior of Erato has most of the characteristic features of a typical house of Lindos: the large internal courtyard with the vine roof, the elongated living-room, the sofa bed called ‘’panga’’ and the pebbled flooring. 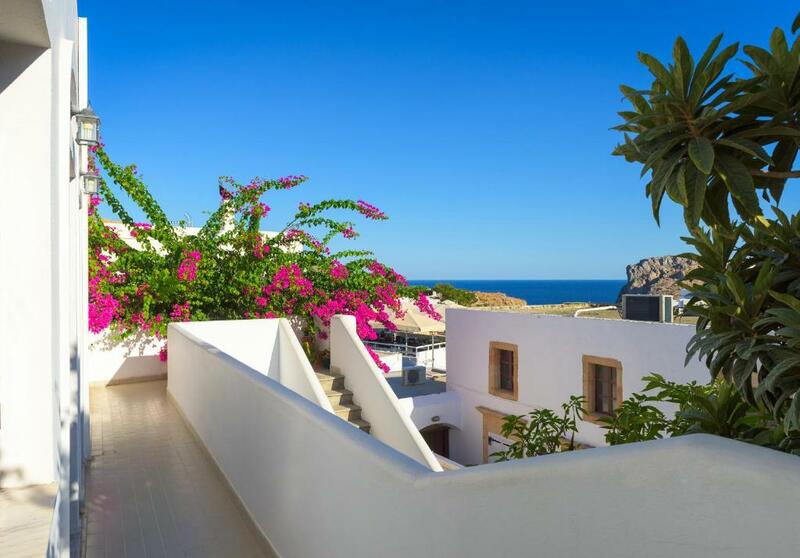 From the roof balcony you can enjoy breathtaking views to the sea and to the Acropolis of the Athena of Lindos. This pleasant and elegant accommodation can host a total of 15 people and is ideal for family vacations. It is a small scale family enterprise which keeps traditions and hospitality alive. 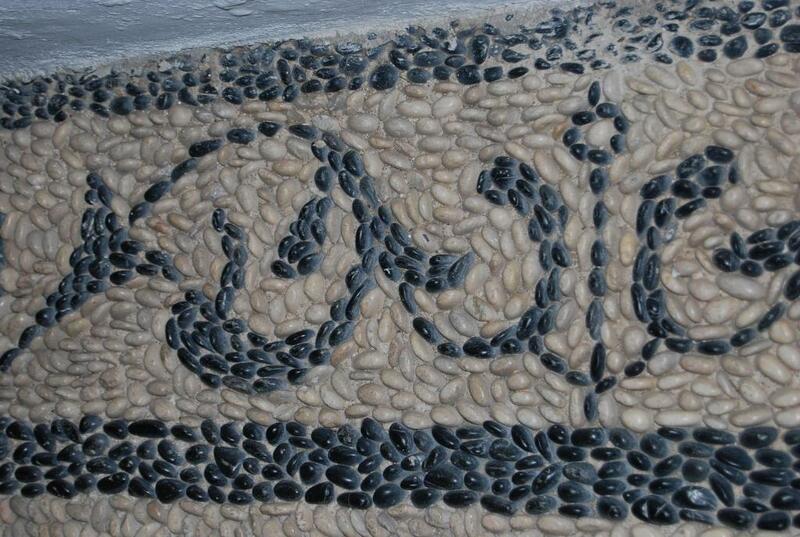 It is run by mrs Anastasia Hadjinicolaou who was born and brought up in Lindos. With her warn-heartedness and friendliness she proves always available to give information about historical sites of interest, culture, local customs and gastronomy in fluent English and Italian. On special occasions our guests can try her home-made jams, dry figs with sesame and Easter cookies. 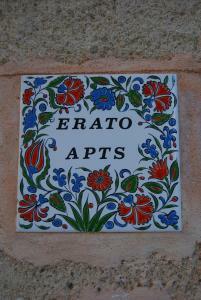 Erato apartments become easily a familiar holiday spot where customers frequently repeat their visit. Repeated customers enjoy special rates and discounts. St. Paul's Bay and the municipal parking are are in walking distance. St. Stephanos square where the ancient amphitheatre are called our neighbourhood. Families and couples could feel self sufficient with a number of shops, bars and restaurants situated close to our spot. House Rules Erato Apartments takes special requests – add in the next step! There was no WiFi downstairs so had to use the roof terrace which was baking. The aircon was only effective in one of the two rooms we had. The shower is a bit shabby and there is a kitchenette which is good but it needs attention- the mugs need replacing and so did the yucky dishcloth. If you pay this much money you expect not to have these issues so we thought it overpriced somewhat. The instructions to find the property we were given from s different car park than the one we were dropped at. Maybe two sets of instructions would be helpful. We arrived at 2.30am in the morning and had considerable trouble finding the property. the internet connection is very bad . Shower was fine for us, but might bother some as a little dark and damp. Hostess was very friendly and accommodating. Lodging was simple and just what we needed. Close to an amazing Italian restaurant, lots of other tourist shops and restaurants, but located on quiet ally. A short walk to the beach (down a very steep hill). We stayed in room with 3 twin beds on the ground floor, enjoyed the garden courtyard and balcony above for eating our cereal in the mornings.